IndyGo Red Line construction getting back on track. 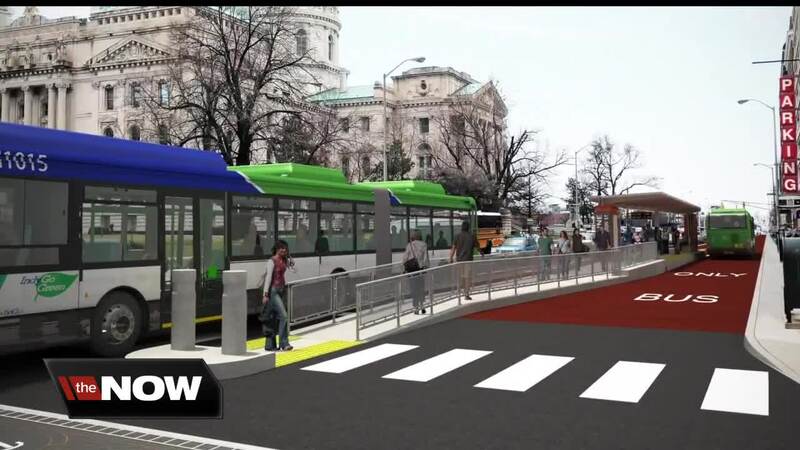 INDIANAPOLIS — More changes are expected to come to the massive IndyGo Red Line bus rapid transit under construction in Indianapolis. Call 6 was the first to tell you about the project being four months behind schedule last month. The construction has really been stepped up over the past few weeks, and if you've driven around places like Meridian or Capitol Street you can see the massive amount of construction as crews speed up the timeline. The acceleration plan coming to light after it was revealed that project was 114 days behind schedule and speeding things up so it would open at the end of the summer would cost $3.5 million dollars. But, that money had to come from somewhere. And Call 6 has learned that IndyGo officials are looking to cut certain aspects out of the second phase of the construction. The second phase of the construction specifically deals with the build out of each of the red line stations. They were supposed to discussed at Thursday night's IndyGo board of directors meeting, but any talks of those cuts were pushed back. RTV6 has learned one of the things on the table is an ice melt system, that is installed in the pavement on the stations. They have heaters that help keep snow and ice off the platform in the winter, and keep the platform safe. Additional cuts could be made, but IndyGo wouldn't discuss them publicly. The project overall still has some people frustrated that it keeps running into issues. "I don't think it's planned out properly," Rich Anderson, resident frustrated over the red line project, said. "I don't think they answered all the questions that they needed to answer before they actually started digging the ground in and implementing it in. "The financial aspect of it is they're paying for it, we're paying for it. I don't want to pay for something that's not thought out and it's OK to put something on hold while you actually answer every question before you even start to break the ground." The good news is the construction with the acceleration is back on track, according to IndyGo. Construction should be complete on July 31.